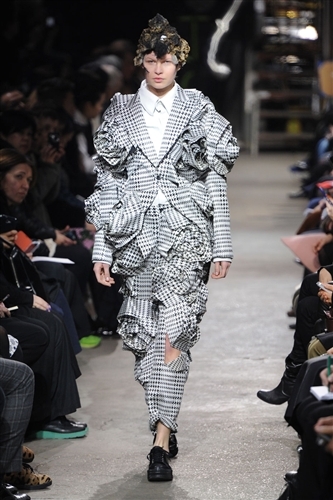 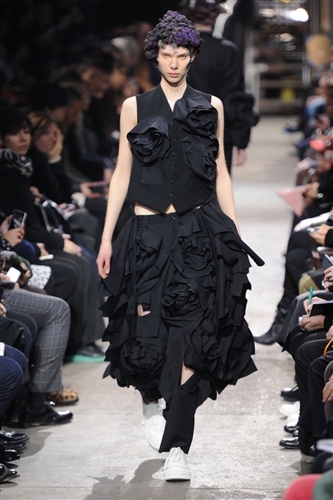 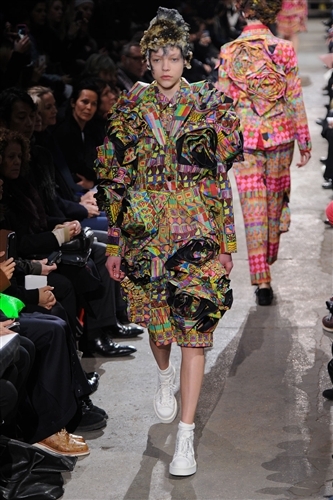 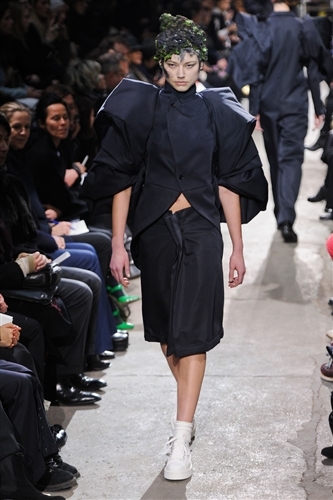 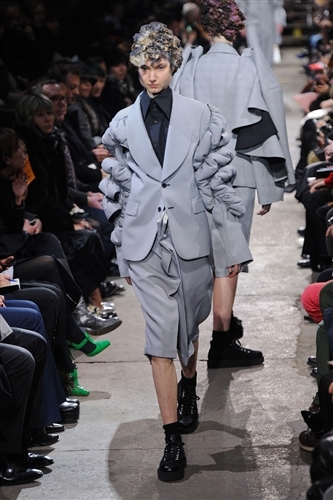 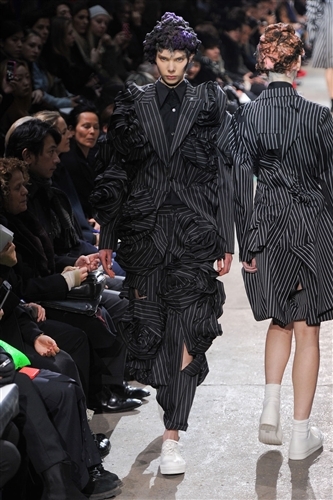 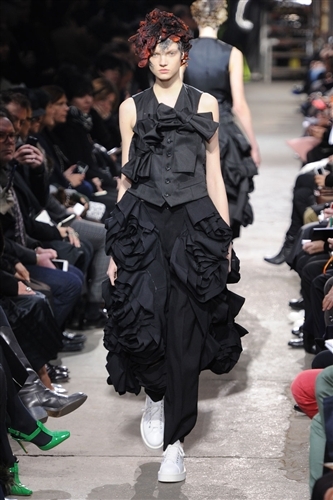 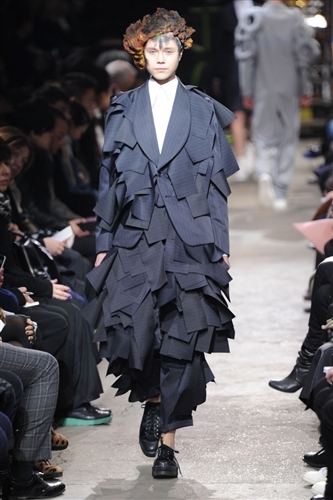 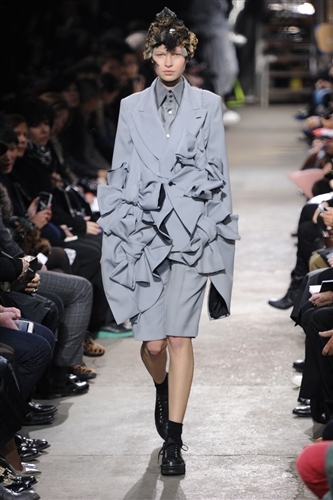 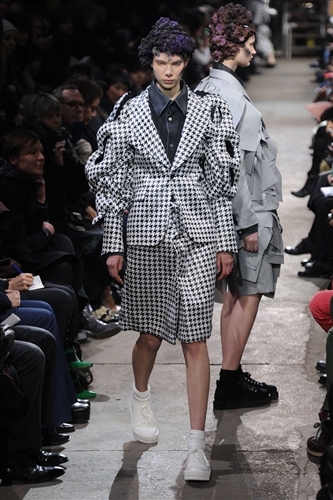 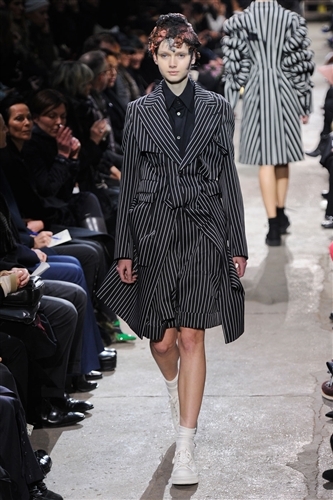 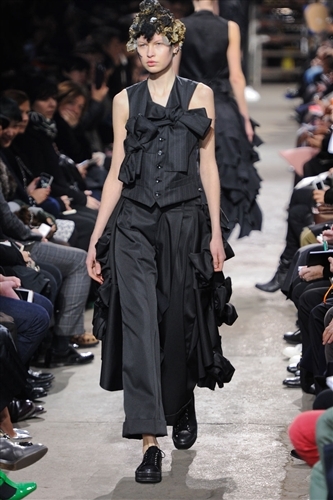 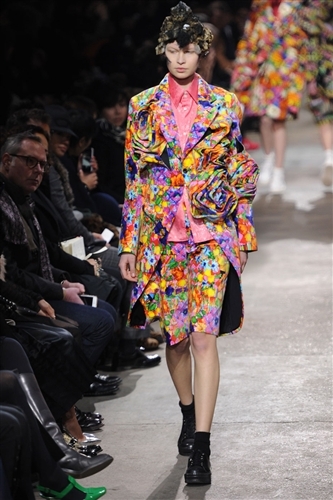 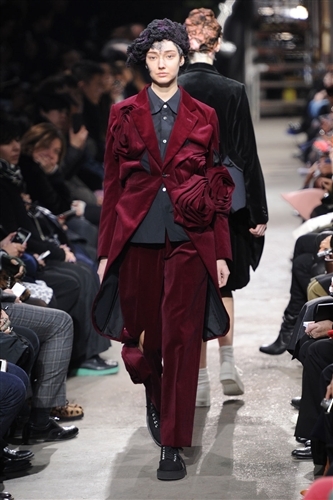 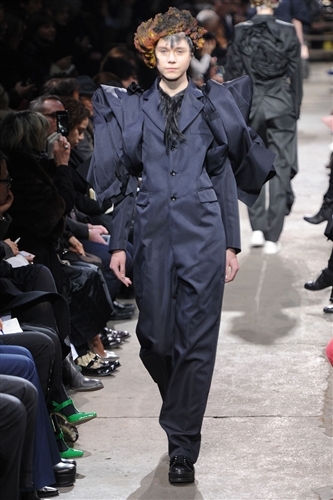 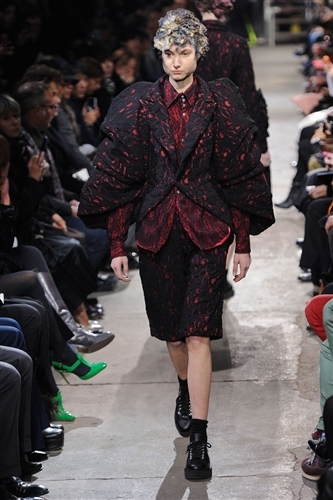 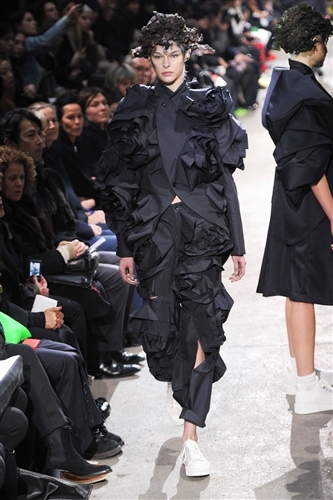 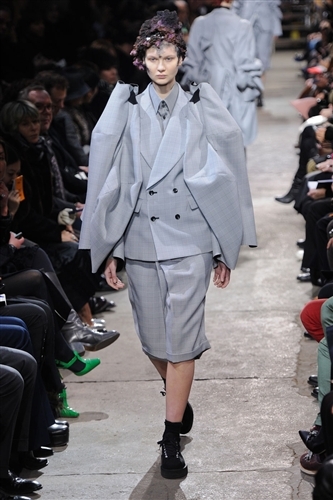 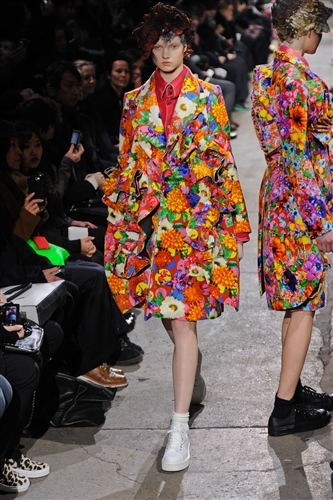 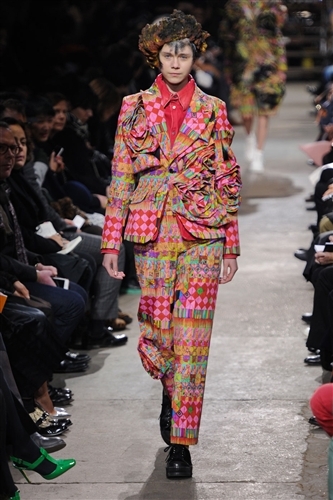 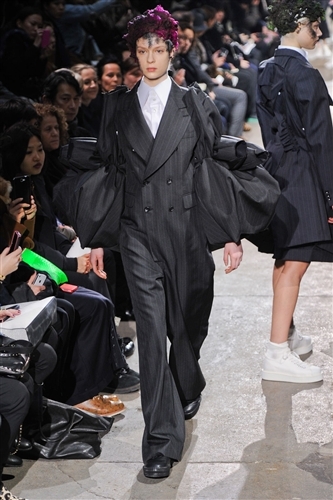 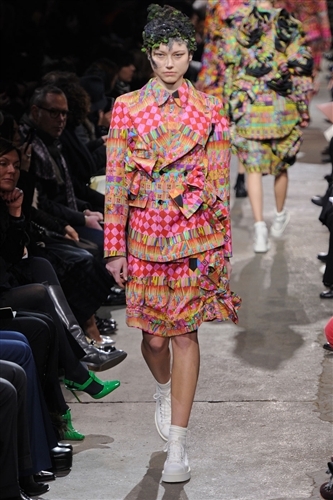 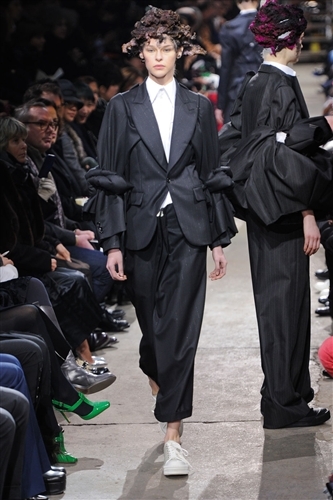 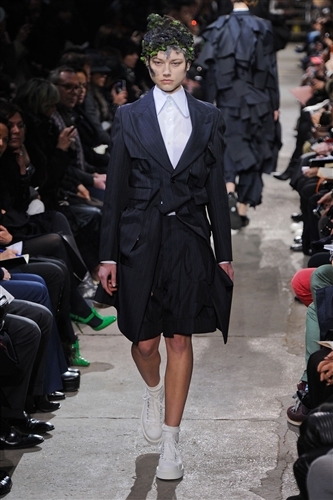 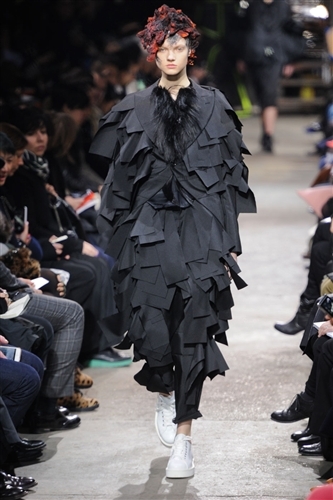 Rei Kawakubo presented another startling and impacting collection for Comme des Garçons, it was titled ‘the infinity of tailoring’ and the audience were sat unusually close to the catwalk so they could see the sheer intensity of Rei’s work. 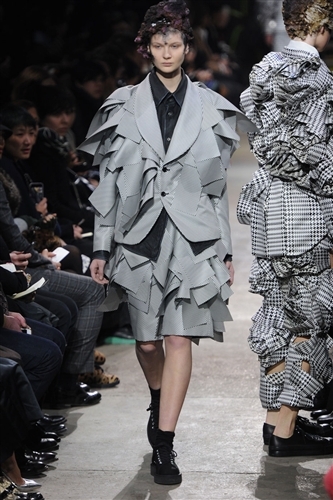 The designs were a shining testament to pattern cutting, each and every garment incorporated something like a bow, bustle or a waterfall of fabric but truly incorporated them so they went beyond decoration and became part of the blueprint of the design. 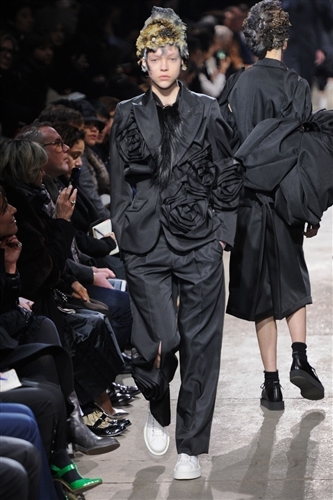 The pieces are best described as suits, but Rei pushed the notion of a suit beyond all recognition and so it’s tempting to come up with new names entirely for the designers work. 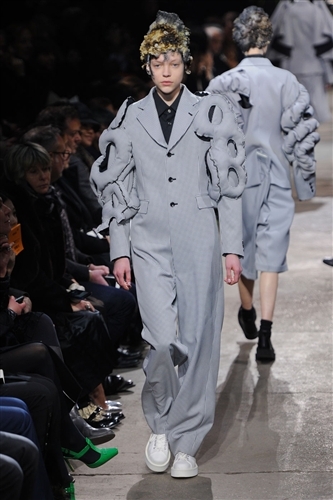 This collection toyed with the boundaries of ready-to-wear as the designer explored her ability to create and explore through fashion.